I have always been interested in the political process. I think it started one summer when I was in the fourth grade. My mother was ironing and getting my clothes ready for me to head off to camp for a couple of weeks. She was listening to the radio (we didn’t have television yet) reporting on the Democratic Convention. 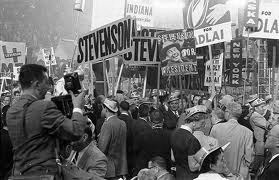 In those days the convention delegates actually elected the party candidates. Her enthusiasm, as the delegate roll call was taken, intrigued me and I began to listen, make comments and ask questions. My interest in politics was sealed. I have voted in every election since I was old enough. 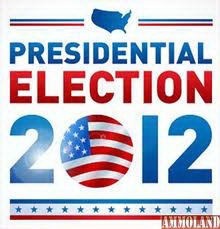 I listen or watch the news and follow the progress of the candidates leading up to the election. I join members of my family to carefully review the local and state propositions on our ballots here in California. I have made small political donations, written letters to my elected officials, attended rallies and celebrated results. I have even occasionally handed out literature for local candidates. But I have never gone door to door or volunteered to work on a major campaign. This time I am seriously considering volunteering my time to work on the presidential campaign in a swing state. Since I have not been a rabid campaigner in my life, you might wonder why I am getting involved now. Simply because I am very worried about what is happening to our democracy and to our country. I have watched political ads funded by the deep pockets of wealthy people with narrow self-interests; campaigns that rely on large checks from corporate entities which are now considered to be people for purposes of campaign contributions; I have watched candidates get elected who say vicious things about their opposition; I hear racist, sexist and homophobic rhetoric; I learn about legislation proposed in several states that is drafted by groups outside those states who have hidden personal agendas. I am concerned by those who promote rigid narrow and often inaccurate ideas without considering the good of our whole country, who want to undermine the separation of powers, who don’t respect the rights of the minority and differences of opinion. I am worried about the effort to turn our values for the freedom of religion and belief into a Christian Theocracy and condemn anyone whose beliefs, values, actions or even existence contradicts a rigid interpretation of the Christian Bible. I am concerned about the number of people, especially the young, who are disillusioned and don’t vote. All of these concerns and more contribute to my worry about the future for all of us and for my grandchildren. At times, the listing of these worries is overwhelming and I am immobilized, thinking there is nothing I can do about it. But I have always been an optimist and an activist. So, I lift my head, raise my hopes and begin to list what I can do with even small steps to counter this tsunami bent on destroying our freedom. 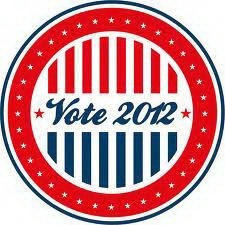 Get involved and volunteer in political campaigns. Encourage others to make contributions and get involved. Distribute information, articles and other educational materials to inform and educate my friends and family. I close with my encouragement of you to be open, get informed and educated, encourage others and make a commitment to be a voting citizen. I would love to hear your thoughts and what you are doing to support and further our democracy. Books, workbooks and other resources will help you plan for your 3rd Act and live a fulfilling life of your dreams.